WheatonArts Mini Swirl Cranberry. 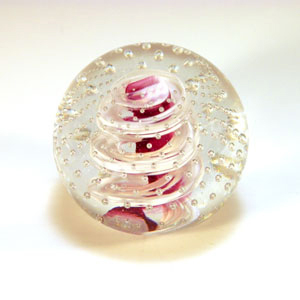 This mini paperweight is handcrafted in the Wheaton Arts Glass Studio. It is stamped on the bottom. Card Included. 2 1/4″ Diameter.